Omise Holdings, Southeast Asia’s leading financial technology service provider today announced it has received an undisclosed funding amount. The investment was led by Japan’s largest private venture capital, Global Brain with participation from 31VENTURES, CVC arm of Mitsui Fudosan, one of the largest real-estate developers in the country, and returning Indonesian venture capital SMDV. Global expansion is a key growth driver for businesses around the world, yet financial transactions are being processed by legacy platforms built on infrastructures that are not geared to support global commerce needs. As global commerce and population movement grows, the ability to conduct payments anytime and anywhere becomes a necessity. To provide payments in today’s increasingly borderless world, a financial infrastructure that can be accessed globally is needed. 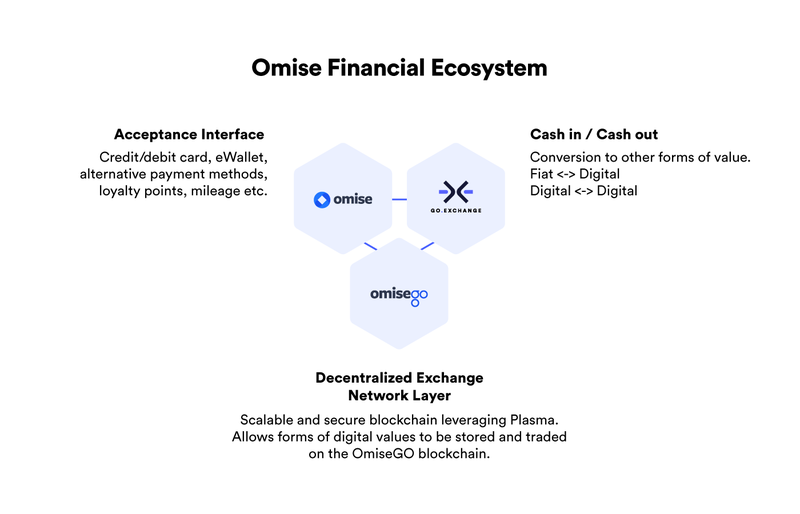 This undisclosed funding not only brings in additional financial support, but more importantly, connectivity with strategic partners to strengthen the reach of the financial infrastructure currently in the development phase by entities under Omise Holdings — Omise payments, OmiseGO and GO.Exchange. [Setting the foundation] Omise and Global Brain visions are aligned in building the blockchain ecosystem, and have been in partnership on several ongoing foundational projects including the Ethereum Community Fund (ECF) and blockchain focused co-working space, Neutrino. Both parties will continue to progress on these projects to promote greater adoption and involvement from the wider community. [Building the supporting infrastructure] OmiseGO’s vision is to create a borderless open financial system that is accessible to everyone. The company believes that an open platform will allow global buyers and sellers to meet directly, and conduct global settlements. This will pave the way towards a future where payments can happen anywhere in the world. The aim is to leverage the OMG Network, eWallet Suite and OMG DEX that are currently under development as tools for businesses to provide global financial services to their end users, and to provide opportunity for anyone with a mobile device to easily access fast, fair and secure instant global payments. [Strong network to support] Global Brain, Mitsui Fudosan and SMDV will leverage its resources to support the businesses under Omise Holdings by assisting its penetration into Japan, Southeast Asia and other key, high-growth markets, including building partnership and alliances with its potential clients.